Energies of the Grange are centered on areas of civic life that profoundly affect families and the community in the region served by the Dartmouth Grange; areas in which strategic financial support, volunteerism and community service will have a significant impact and make a lasting difference toward the betterment of the community. Strategies include economic development as well as other activities around philanthropic activities. Investing in organizations and activities that promote economic activity, invest in young people, strengthen public education, and sustain agriculture. Providing support for the needs of individuals and families in the community via the leveraging of resources, and programs which educate, enrich, or provide financial relief. Strengthening individual's abilities by working together, offering leadership development and encouraging individual advancement - both financial and personal. Acting as a catalyst for sustainable, positive change through programs that foster economic growth such as development of the Grange Kitchen. Developing an accessible and collaborative approach to activities that enhance its role as an active and relevant organization in the community. The Grange was formed in the years following the American Civil War to unite private citizens in improving the economic and social position of the nation’s rural and farm population. Over the more than one hundred years of our work throughout the country, Grange members, supporters and volunteers have helped bring positive change to tens of millions of people. Granges were the warehouse-buying clubs of the nineteenth century. Their influence grew into a nonpartisan political lobby that worked to create laws now known as Granger Laws that are still important in anti-trust litigations today. 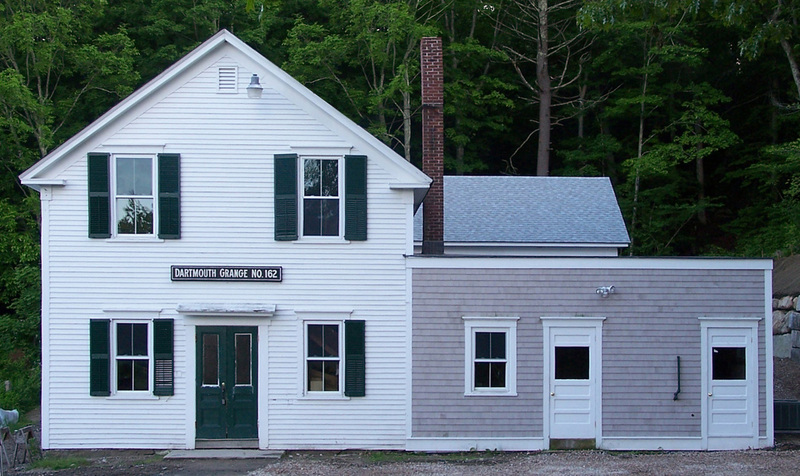 The Grange is also credited for the Rural Free Delivery Program of the United States Post Office and created libraries to store and share books; many of which have become the community public libraries of today. Before cars, telephones, running water or even electricity, Grangers were fighting for the rights of citizens. At its inception in 1867, it was at the cutting edge for its time. The Grange gave women an equal vote with men even before the government granted it and was also the first organization in America to include all members of the family. On June 29, 1960, the 11-story landmark National Grange headquarters building in Washington, D.C., was dedicated by President Dwight D. Eisenhower and is the only private edifice in a federal block across from the White House. It serves as a non-governmental headquarters for agricultural and rural families. A professional staff administers policies established annually by democratic Grange processes at local, county and state levels. 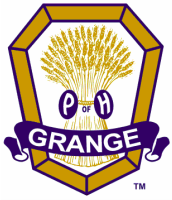 Please also visit the Massachusetts Grange and National Grange websites. The Grange's Motto: In essentials, unity; in non-essentials, liberty; in all things, charity.